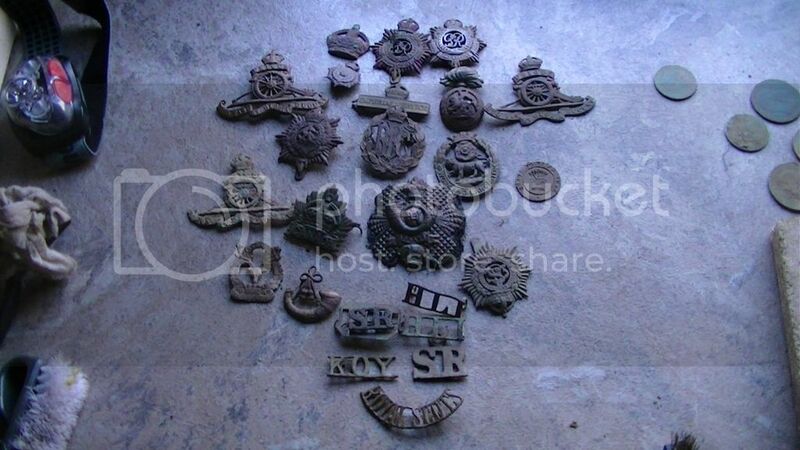 Weather terrible today so thought I would have a look through my finds boxes in the shed, this is my collection of military badges found on the site of an old army camp/training area. if pull tabs were worth a penny I'd be rich. That's a fantastic collection you have. Can only get bigger. Thanks for sharing. Very nice collection there mate, thanks for sharing. Your doing well mate some nice badges, you could stick some Renaissance wax on them and preserve them in good shape if you like.